Pepper People Are The Best and Justin's pods are absolutely fantastic ! 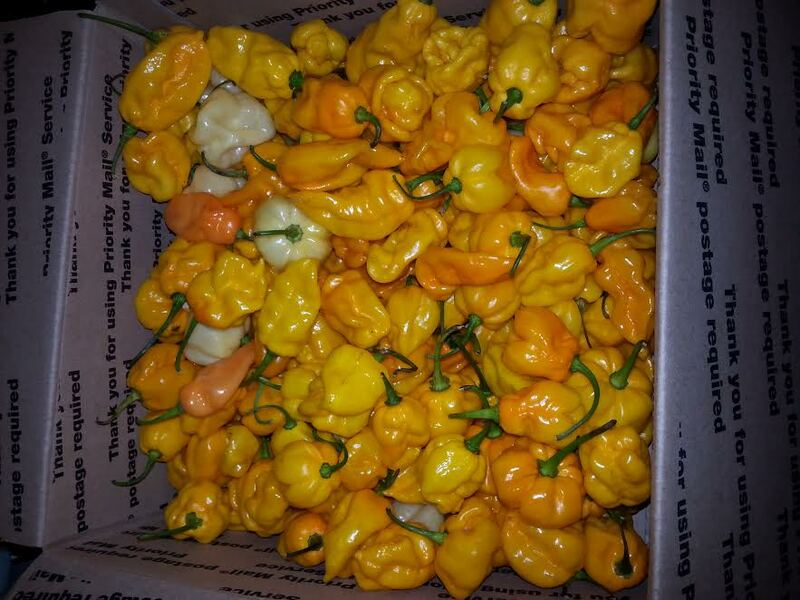 I recently inquired as to if he was selling some pods this year, I asked for mostly yellows for saucing. Well he hooked it up! 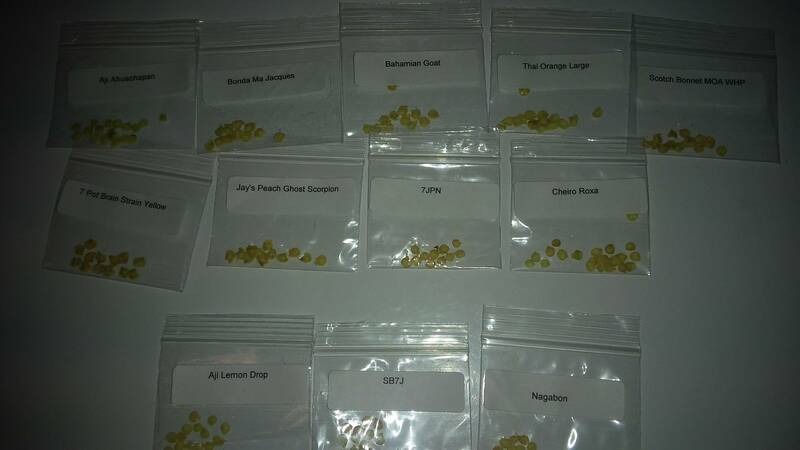 I received my order of pepper seeds from whitehotpeppers yesterday and it is very much to my satisfaction! He even threw in some seeds that I inquired about that were listed as out-of-stock from his own personal collection! Excellent service! Yep ! a really GREAT GUY ! Just got my seeds in the mail! He even sent three freebies...and I don't even think he's got the Nagabon for sale on his site yet. Looks like he's just starting to update with new seeds! I just orderd my seeds form Justin felt like I should send a little bet of cash his way . I orderd his 7 pot yellow Jonah X SB & his Yellow Moa WHP strains . I just hope there as awesome as his grows have been. Less than 10 days from Justin to Italy excellent package + extras. you can't go wrong with Justin , he's a stand up guy ! really good person ! Have to agree Justin is definitely a go to guy and great grower.All around human being in my opinion.Glad to be able to call him a friend. I am a competitor of his, and have not ordered from him, but when I was shopping for a new web host I saw he had his site on Shopify I reached out to him and asked him how he liked it. He replied right away and told me all the positives and negatives. Very helpful guy! Thanks Justin. Edited by midwestchilehead, 01 November 2016 - 03:03 PM. Received seeds from Justin in a padded envelope and they all look great. Got 10 varieties and a couple freebies - based on my order I'd swear he specifically picked the extras he thought I'd like based on my order. Would 100% recommend and very well may add to my collection through him again. Ordered 4 varieties and received 5 freebies! This was my second order so I think Justin was just extremely generous, thanks mate much appreciated! Got my second order from Justin. His pods and seeds rock! Very professional. My orders have been shipped the very next day. Love the Website http://www.whitehotpeppers.com/ Lots of new stuff guys and gals. Check it out. My 2017 grow list just got bigger. Woohoo!!! I just placed an order on a few pepper varieties that seemed interesting that I haven't grown before and were highly recommended on THP. I just placed an order with Justin. After seeing all of these great reviews I decided I had to try his seeds out! I can't wait to get growing this year!